We’re popping up to let you know about a few new things that have hit your ZipBooks account! We’ve made adding transactions to ZipBooks even easier! Simply choose the type of transaction you need to make sure it’s recorded in the right way. Use the Transfer button to move money between your accounts, create a Deposit when customers pay their invoices, or add an Expense to show where you’re spending your money. Super accountants can use the new Advanced View in any transaction popout to create debits and credits (or journal entries, in accountant-speak). Your list of transactions has gotten a little facelift too! 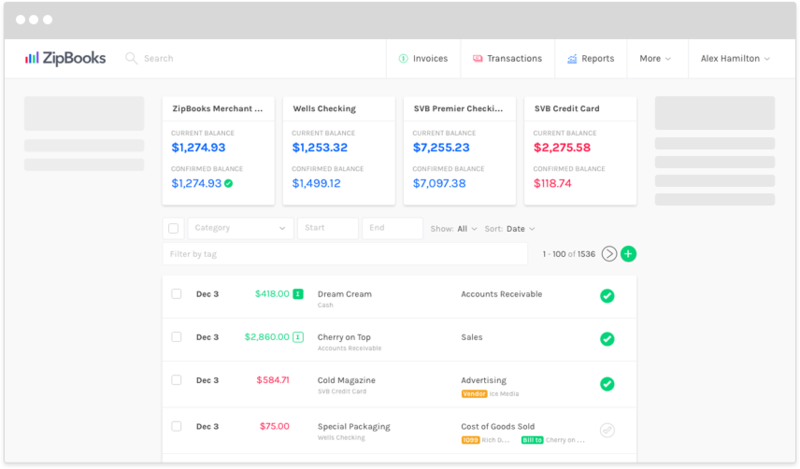 ZipBooks continues to make accounting easier by conveniently showing all your transactions in one central location. And now, you’ll have more information about each transaction right upfront. 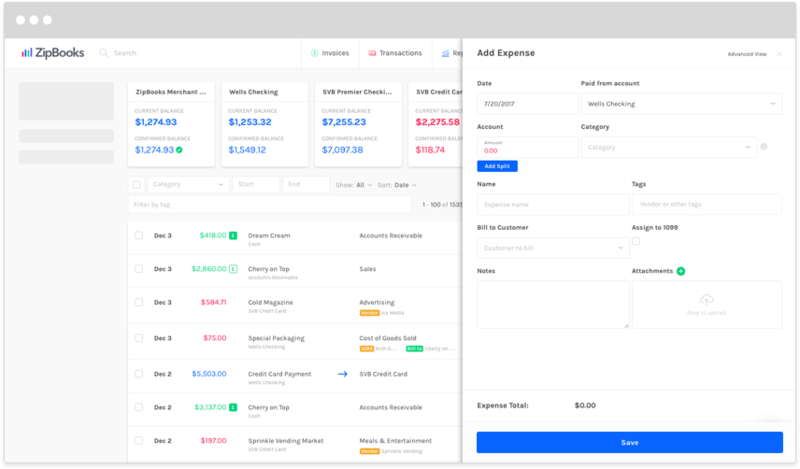 At a glance, see which transactions are client-billable expenses, invoices, client payments, and 1099 payments along with other convenient info like which vendor you purchased from. To make tax time run even more smoothly, tag any transactions you’ll need to include on your contractors’ 1099s! You’ll see that detail right from your transactions list. Recurring Profiles added even more information for you, right from the list view. 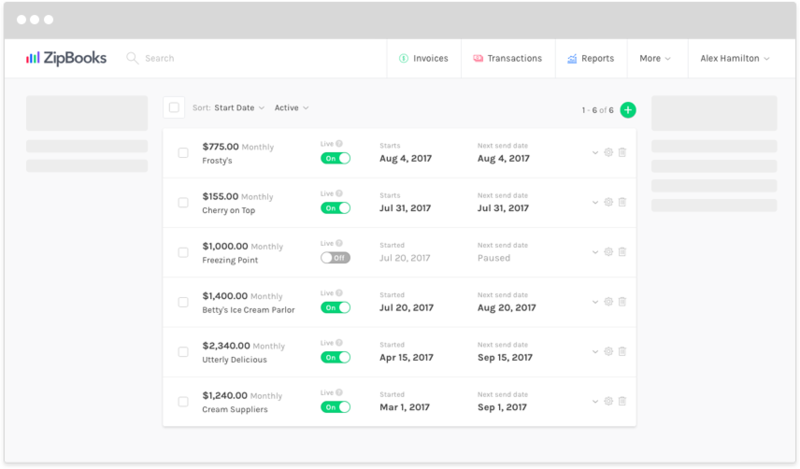 You’ll see the customer’s name, if recurring billing is live, when it will begin, and when the next invoice is set to go out. If you decide to put their profile on hold, you’ll see the word “Paused” instead of a date for the next invoice to go out. Simple? Yes. But seeing details right up front creates a simpler experience with fewer clicks. And that’s a must when you own a business! Well, that’s a wrap for now, ZipBookers. We hope these updates help keep your bookkeeping and billing accurate and on track. Stay tuned for the next great update!